The technology start-up scene is thriving. I think this is partly because the advances in IT capability and capacity have meant that we can do so much more now than ever before, but mainly because the support scene for tech start-ups is so vibrant. As someone with a foot in both camps (as a founder and a tech facilitator) I’ve been really impressed with the range of support available and also the specificity of it. Interestingly, much of it is within peer groups, through meetups, hackathons and conferences and events set up by people who are starting up and want to build the community around them. A consequence of the lack of government leadership for SMEs, particularly in the environmental sector, has meant that business just has to get on and do things itself. You can’t wait for policy to lead the way anymore, because in the environmental area in England, there isn’t any. The other key part of the dynamism of this sector is the finance. Again this is in response to a total failure of the market norms. Why go to a bank with restricted lending as its capital holding requirements are increased when you can go directly to investors, both large and small? Why put your money in a bank with a 0.25% interest rate, when you could lend it to entrepreneurs, through crowdfunding platforms in the UK, or organisations like Lend With Care for overseas (my particular favourite and the one that I use!). I’ve been to a few investor events recently and the quality of those pitching for funding has generally been impressively high. It is exciting to hear about the range of technologies that have proved their concept and are on the cusp of commercialisation. 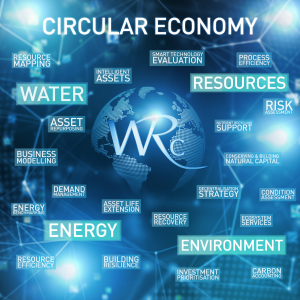 At WRc, where I have been working as Head of Circular Economy, we have also been trying to find the innovations that are on the cusp of reaching the market, or have recently launched, that can help our clients in the water and waste sectors. We currently have a challenge open for just this. Deadline is March 24th, so if you are an entrepreneur and would like some independent feedback and support, please do check this out: Innovators’ Challenge. ← Quickie survey about Mayo products- help please!